This movie i had first bought in Shirdi when Vcd and Dvd were yet to come. that was a video tape named Shirdi Saibaba Ki Kahani. After watching the movie, i got the answer to my wonder. Why did not this movie show up in the theaters.? Well, i found out that it was dubbed in Hindi from a south Indian movie. I have loved this movie compared to other movies, because in the movie it is seen that lot of study about Sai Baba's life and Shirdi, in those time must have done. Since the video tape got lost i tried locally at video rental, this movie was not to be found there. In next visit to Shirdi i had bought three copies, one to gift to video rental shop, so that he can rent that video to people asking for Shirdi Sai Baba movie and one to the cable operator, to put that movie so that many people can watch. Now this movie can be purchased in vcd and dvd. This video clips comes from the same movie, Telugu movie, so Telugu Language. 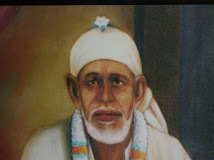 The following video clip shows Nanavali in Grief, after Sai Baba took Mahasamdhi. The folloeing video clip shows the famous miracle of Sai Baba of lighting the lamps with water, which lasted whole night, and most people who thought Him as mad Fakir started respecting Saibaba. 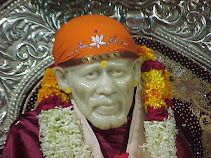 Then how Sai Baba worked in making a garden and He use to roam about in Shirdi. The following video clip Shows Saibaba showing Vithal Darshan to Das Ganu and let the waters of holy rivers Ganga and Yamuna flow through his Holy Feet. The following video clip shows the breaking of Sai Baba's brick. The following clip actually is of the incident, when Sai Baba left his body for three days, and returned. This incident is also shown in Hindi movie, Shirdi Ke Saibaba. A Hindi song dedicated to this incident from the same movie with the description is shown on Shirdi Sai Baba blog.